SEOUL – North Korea’s military warned on Friday of “unannounced targeted strikes” against South Korea’s navy, accusing the South of violating its territorial waters off the peninsula’s west coast, the scene of deadly naval clashes in the past. Pyongyang’s warning came during the annual crab fishing season, which runs until June in the waters off the west coast of the Korean peninsula. Naval forces from the two Koreas clashed during the same month in 1999 and 2002, killing scores of sailors on both sides. In March 2010, a South Korean navy ship was hit by a torpedo and sank off the west coast, killing 46 sailors. Seoul blames the attack on the North, although Pyongyang has denied any role. “From this time on, there will be unannounced targeted strikes against puppet navy vessels that violate our military’s maritime border in the west coast hotspot waters,” the North’s KCNA news agency said, quoting a military command statement. North Korea disputes the maritime border off the west coast, rejecting as illegal the so-called Northern Limit Line drawn at the end of the 1950-53 Korean War. An official in South Korea’s Office of the Joint Chiefs of Staff called the North’s threat “insane” and said its navy vessels had not crossed the maritime time border since the end of the war. 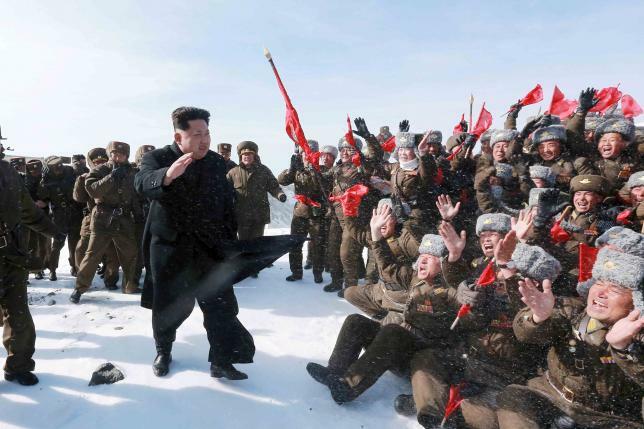 The North’s military command overseeing its forces in the southwestern region had accused the South’s navy of violating its waters every day for the past week, calling it a military aggression, KCNA said. It said the intrusions were made under the pretext of patrolling for foreign fishing boats in the area. South Korea regularly patrols the area to stop illegal fishing by Chinese boats. North Korea often issues shrill, bellicose threats via its state media against the United States and South Korea.